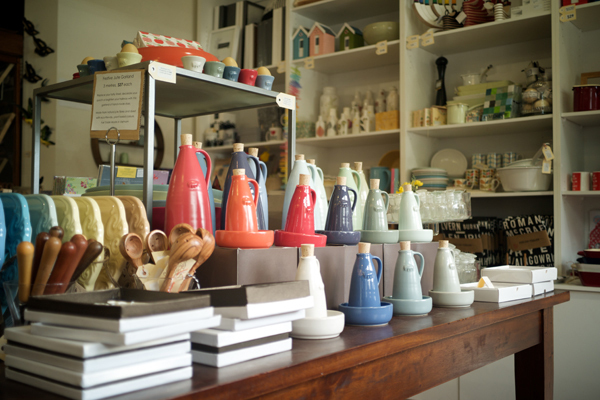 FK chats to Kate about her beautifully curated Hawthorn based shop, Blackbird & Fox! Tell us a bit about Blackbird & Fox, the history and the product that you stock. 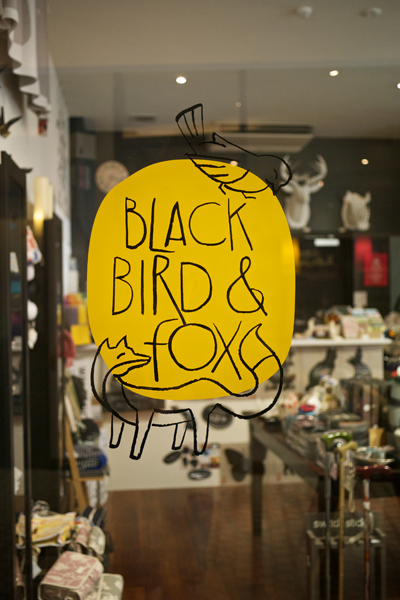 Blackbird & Fox opened in April 2010, and everyone describes it as a ‘dark time’ in the history of Australian retailing, so we’re proud we’re still here! 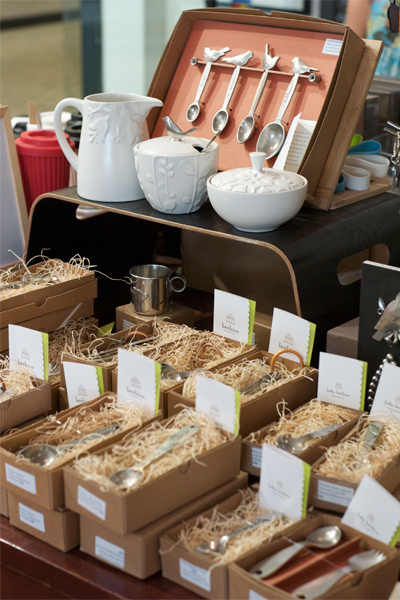 I think the key to our success has been the quality of the products we stock – I know there’s cheaper copies out there, but I’m a big believer in ‘you get what you pay for’, and especially when you’re purchasing locally made products and dealing with your makers on a day to day basis, you are aware that these guys are working hard, it’s not a hobby, it’s their livelihood too! After school, I originally studied Creative Arts, and then did a post-grad in Museum Studies, which lead me to working in the zoos education programs. After a stint overseas (working and shopping my way ‘round the world) I landed a ‘fill-in’ job with a wedding registry service, and four years later I realised I was still there! I needed a change, so I got a bank loan to renovate my home, and used it to start a business instead! Since then, I’ve been lucky enough to get two fabulous girls on the team to help out, so we can open 7 days a week. How do you select which products you would like to stock? 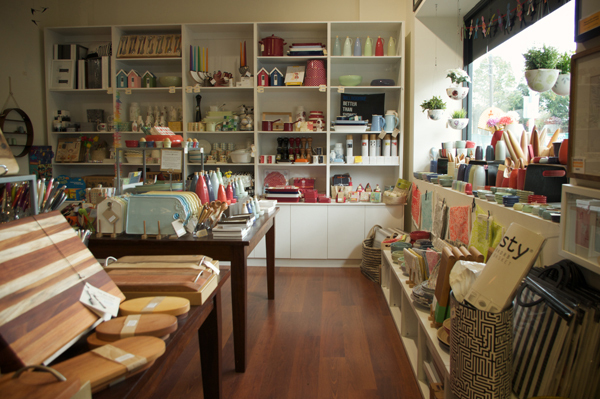 We have a really eclectic collection of products in stock at any one time, but I try to stock as much locally made and Australian made product as possible. I stalk the markets, online, all over the place. 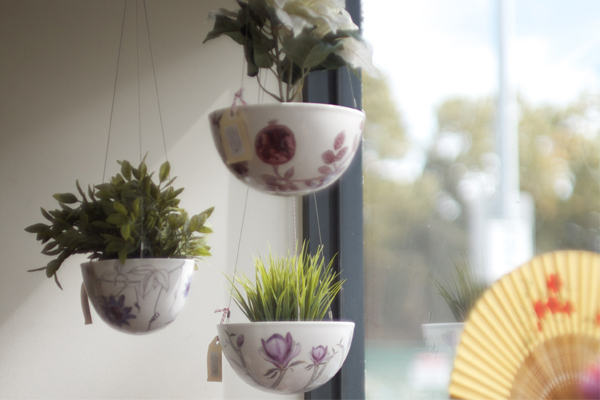 My Dad used to work in Asia a lot when I was younger, and in many cultures you need to take gifts for people you are doing business with, so I was always being sent out looking for suitable Australian gifts for him to take! I think that’s in the back of my mind a lot, and I certainly have lots of customers looking for gifts for friends overseas, or exchange host-families and the like! Other than that, my own personal taste probably comes through a bit – lots of bird and animal motifs, and lots of bright colours. What is your inspiration for the shop, and what keeps you motivated? 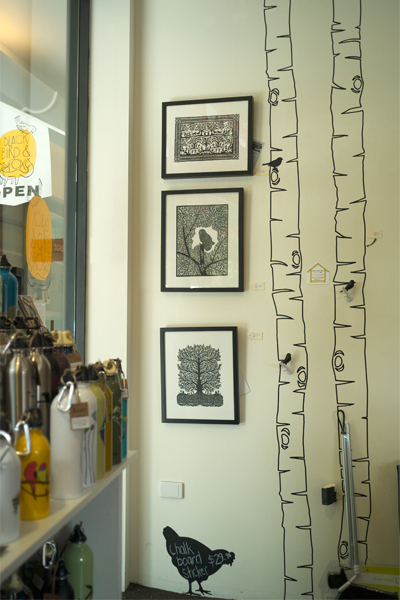 Opening Blackbird & Fox, I really wanted to create a business that supported local makers. I guess there’s a bit of frustrated artist in me, that would like to be doing something with my hands, but in the meantime, I’m happy to provide a space for other people’s creativity! 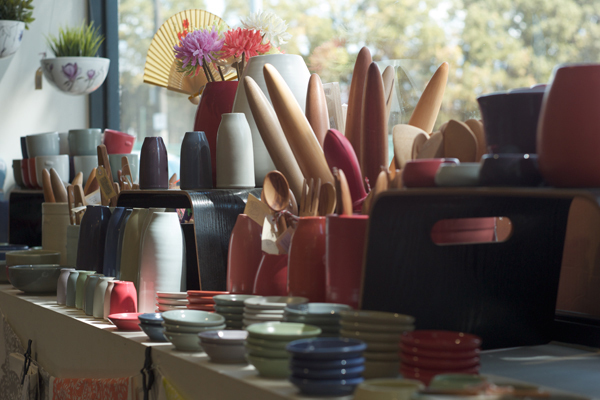 Often customers will come in with a specific request, or a suggestion of something we should stock. When we can find what it is they’re after and source it for them, it’s rewarding for both of us. I feel like we’re a real old fashioned shop when we can do that for customers! What inspires you about your surroundings and what other aspects about Hawthorn do you love? Blackbird & Fox is tucked away just off the main strip of Glenferrie Road, down the Troubadour Arcade, which runs through to the main carpark, and the Hawthorn Footy Oval. We’re really lucky to have big windows with a view of several massive eucalypts out the back, and we get to enjoy the afternoon sun each day, not to mention the flocks of lorikeets in the morning, and corellas most evenings. I definitely couldn’t run this business from inside a shopping centre with no natural light! I grew up in Hawthorn, and went to school just up the road. Glenferrie Road is definitely a much busier, more diverse strip nowadays, but then again, some of my neighbouring traders have worked here all their lives, taking on their family businesses from their parents before them. It’s nice to have grown up knowing familiar faces, and to now work alongside them everyday. There’s still a really strong sense of community between the traders around here, and the locals here really want to support small business too. It’s a good feeling to come to work and know your customers, and their kids and dogs, by name, and to be able to have a chat. Some days, working by yourself, you really need a chat! Being a small store, it can be a challenge to fit in everything we want to display, and to balance the ‘old favourites’ with fresh, new ranges, but we’re getting pretty good at stacking! What new projects are you working on for Blackbird & Fox for the remainder of 2012? 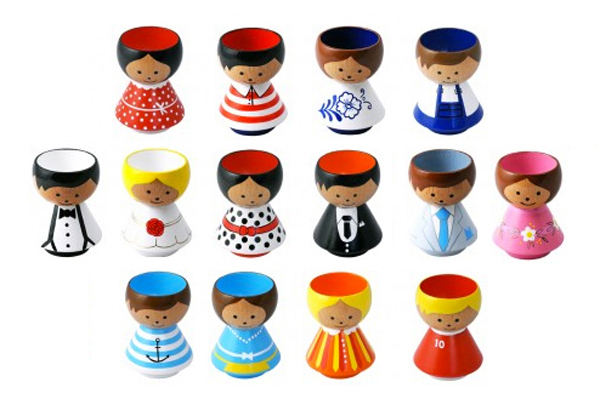 We’re busily stocking up for Christmas, we’re really excited about our newest product, handpainted wooden ‘Bordfolk’ Egg Cups by Lucie Kaas of Denmark, exclusive to Blackbird & Fox in Australia! 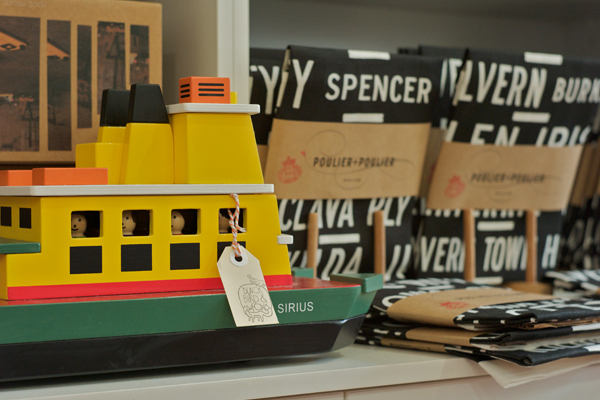 And we’re hoping to launch a new website with online shopping capabilities in the near future too!